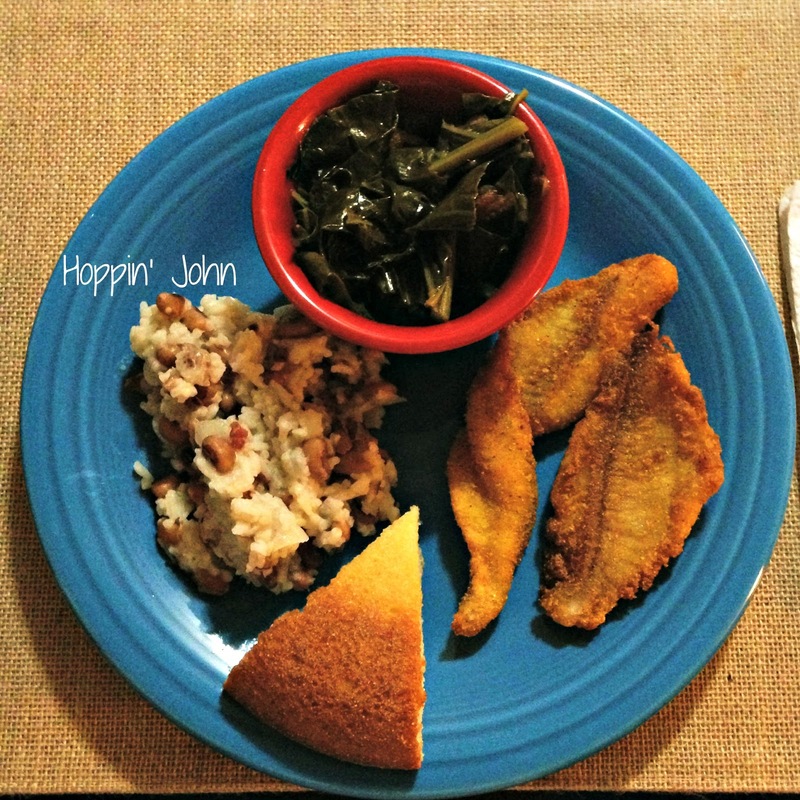 Last week I shared the collard greens I prepared for our New Year’s feast and today I am sharing the recipe for the Hoppin’ John that we had to go along with the greens! This recipe is as simple as it is tasty! Hoppin’ John is considered a Low Country food and I have grown up eating it all my life in South Carolina. I am not really a fan of blackeyed peas but the rice and the seasoning that the bacon gives really accompany them so well that I do not mind them at all in this dish! As you make this dish your home will smell delicious as the scent of bacon reminds me of home! Feel free to try your hand at some traditional South Carolinan food! In a large skillet fry 3 slices of center cooked bacon. Remove bacon (crumble to use on a salad or something later or you can just eat it). While you’re frying the bacon cook the one cup of rice in a rice cooker or on the stove. After the bacon is removed, saute the onion in the bacon drippings for about 5 minutes. I've never heard of such a dish but it sounds incredible! I'm all about southern food!